Singers Ellie Goulding and Rita Ora and reality TVs stars Millie Mackintosh and Megan McKenna are among 16 celebrities who have made a formal commitment to the Competition and Markets Authority (CMA) to be more transparent over their endorsement deals when posting to social media. The move comes amid a crackdown by the CMA on influencers endorsing products without disclosing financial rewards. The CMA warned unmarked adverts on social media can be misleading and could breach consumer protection law. CMA chief executive Andrea Coscelli said: “People could, quite rightly, feel misled if what they thought was a recommendation from someone they admired turns out to be a marketing ploy. It did not say whether the 16 named influencers had breached consumer law, but said they had all volunteered to make changes to their practices. Last week the ASA said it has cautioned hundreds of influencers over the last few years for breaking transparency guidelines about sponsored content, Sky News reported. The regulator last year banned an Instagram post by Made in Chelsea star Louise Thompson, saying she had failed to identify it as a promotion for a watch brand. Usually when celebrities post an advert without being clear they were paid to do so, it's the Advertising Standards Authority (ASA) that takes action if a complaint is made. But while the ASA takes action against individual advertisements or campaigns, the Competition and Markets Authority (CMA) can take action against people. The CMA has published a video outlining the guidelines for sponsored social media posts (see below). 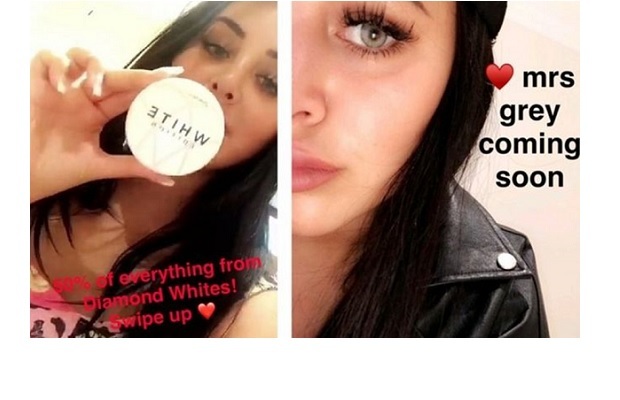 Influencer marketing has come under scrutiny after a recent report revealed brands could be wasting millions of pounds paying celebrities to promote their products. The report by Captiv8 revealed more than 11 per cent of engagement on sponsored posts comes from fraudulent accounts.